Quite the by-the-tip-of-Boyle’s-skatey-skate-skate game as the Boston Bruins beat the Sharks in a shootout 2-1. If it weren’t for Dan Boyle’s skate it would be a Sharks shutout, but that’s how hockey goes sometimes. The situation came in the second period after Douglas Murray failed to clear the puck. A shot from Boston found its way to Boyle’s skate and deflected in. The goal came right at the start of the second period, after a fast-paced first period. It was the way hockey should be played — wide-open, crisp passes, good shots on net, great saves, speedy skating. It was a stark contrast from traditional Western Conference games where defense is the name of the game. After the back-to-back games with L.A. and Phoenix, this game was a welcome relief. 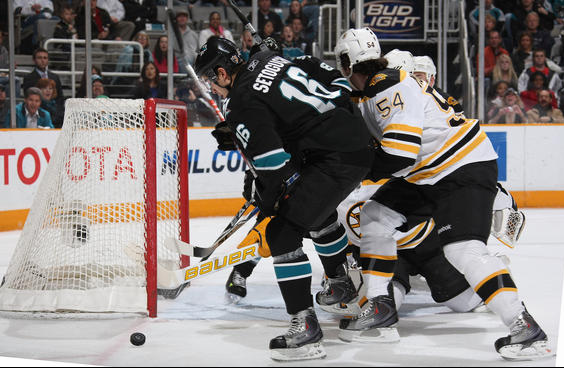 Back to the game, though: the Sharks scored about seven minutes after the Bruins when Joe Thornton buried a rebound. That goal changed the style of gameplay for both teams. Realizing the goalies were playing out of their mind, both teams slowed things down not wanting to make a mistake. Scott Nichol is not a fan of slowing down the play. Scott Nichol wants to pump you up. Scott Nichol annihilated Zdeno Chara in front of the net. Scott Nichol is a beast. Nichol’s demolition of Chara may have carried some emotion over into the third period when the pace picked back up. Things weren’t quite the same because the whistles started to befall HP Pavilion. During the first 47 minutes of the game, no penalties were called. In the final 13 minutes, four penalties were committed. You can attribute that to fatigue most likely. Penalty kill units reigned supreme and the game headed into overtime. If you’re not a gambling person, you might want to get into it. 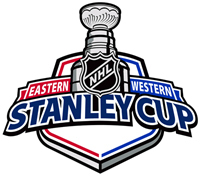 I can assure you 100% you will win the following bet: the Sharks will play prevent offense, a.k.a crap, a.k.a Edmonton Oilers hockey, in overtime. Book it, Joe-Namath-guarantee it, swear on it, whatever. Evgeni Nabokov must be furious at his teammates when they pull this mess. I would be. They don’t drive the net, they don’t take calculated risks. They just pitch tents in the neutral zone as if the offensive zone has poisonous gas. Get over it guppies. 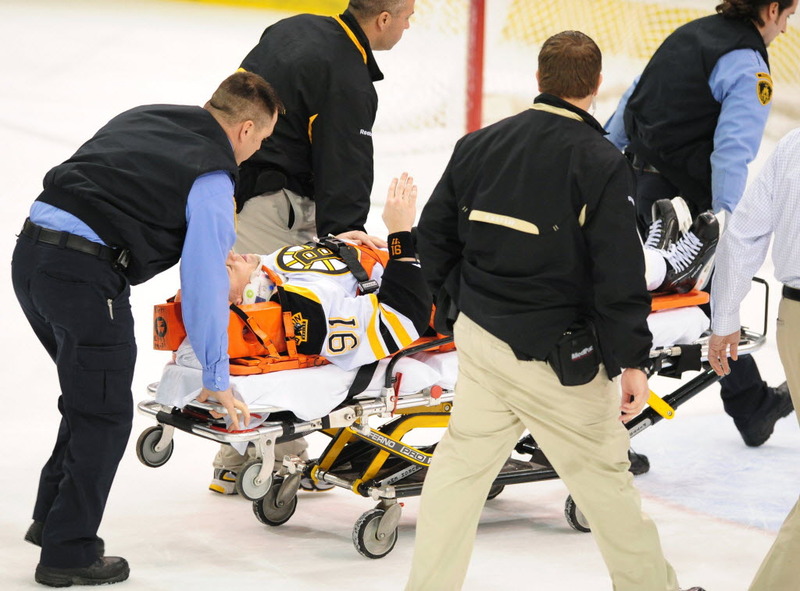 Well, the shootout came and went with no Shark able to beat Tim Thomas. Another wasted opportunity to beat an injured team. Wait, deja vu? Didn’t I just see this? Oh yea, against Detroit. Probably the most injured team in the league. 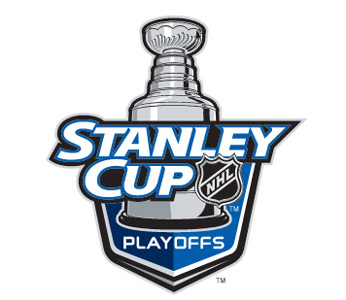 San Jose plays terribly against injured teams. I can’t give you an explanation on the Sharks side, but I’m sure the injured teams feel more desperation and work harder. The Sharks don’t respond well at all to that challenge. No points, no ratings, no nothing for the second line again. Setoguchi keeps trying to weave around two defenders at a time or pull back his wrist shot when there’s someone behind him. Use your brain son. If you pull the puck back with someone behind you, they’re going to take it. Gasp. Hit-O-Meter: SJ 19 BOS 29; Nichol led with five. The Sharks take on the Edmonton Oilers, Saturday. You might see Thomas Greiss in this game. Nabby’s played four games in six nights.